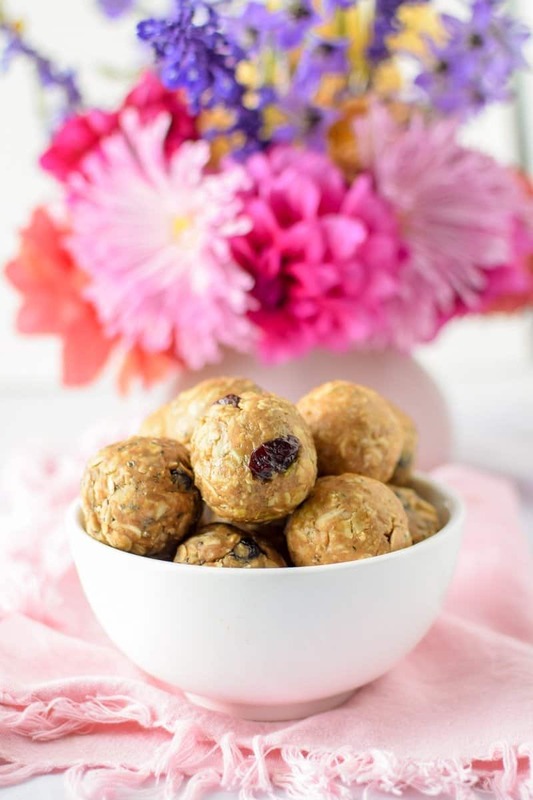 These no-bake, Customizable Fruit, Nut & Seed Energy Bites, are a naturally vegan and gluten-free, nutrientdense snack you can feel good about feeding yourself and your family and can easily be made with ingredients you already have on hand. Disclosure: I am a Peanut Ambassador for the National Peanut Board. As always, all opinions expressed are my own. 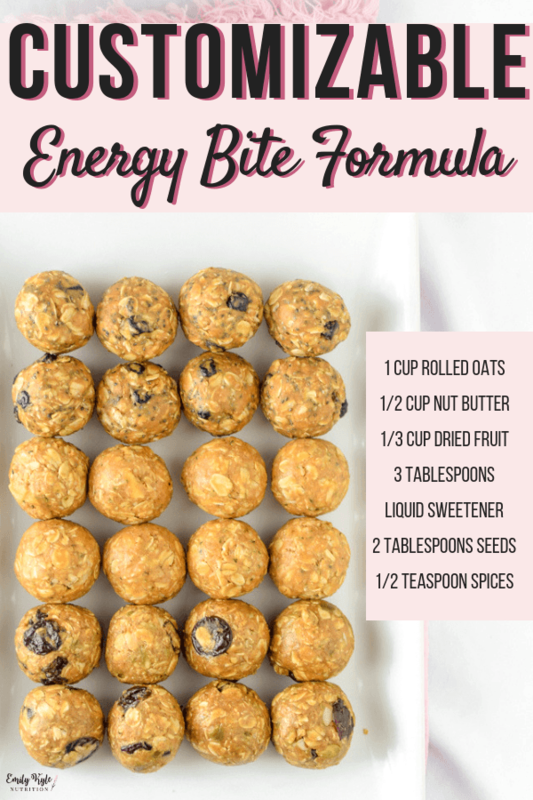 I love energy bites because all you have to do is mix everything together and roll in a ball – that’s it, you have a snack prepped and ready to go. 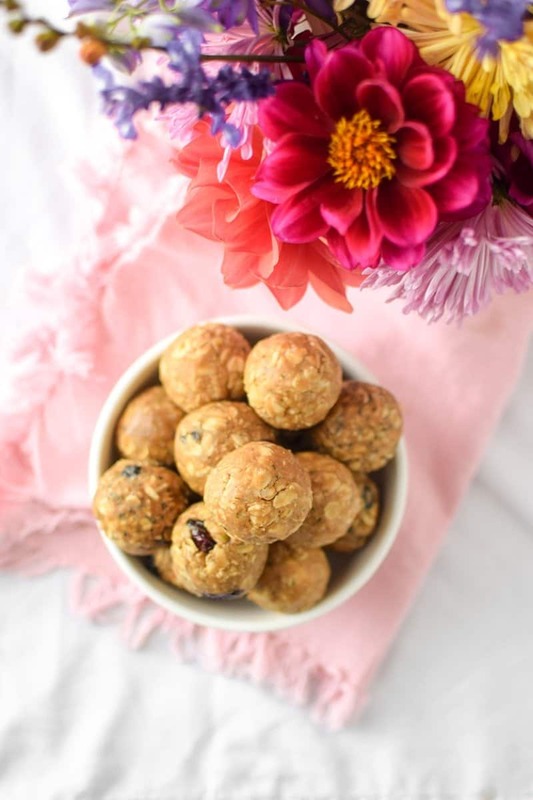 Energy bites are a cute, compact version of the energy bar and can be made with all of the goodness of plant-based ingredients. 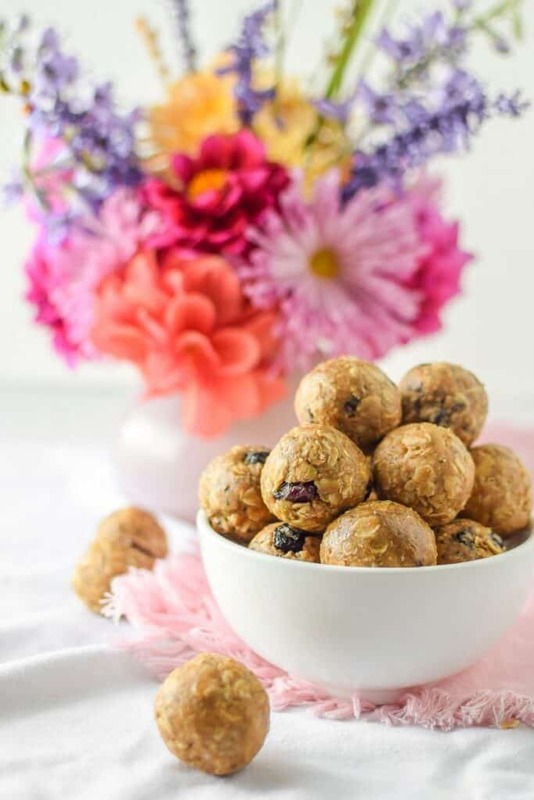 These Customizable Fruit, Nut & Seed Energy Bites are naturally sweetened with dates and dried fruit and are packed with nutrition from the nuts and seeds. 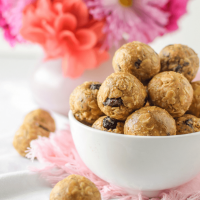 All of the healthy ingredients in this recipe come together to make a sweet and chewy, super nutritious, balanced meal or snack. The oatmeal and the chia seeds provide complex carbohydrates and dietary fiber while the nuts and nut butter provide protein and heart healthy fats to slow down digestion. 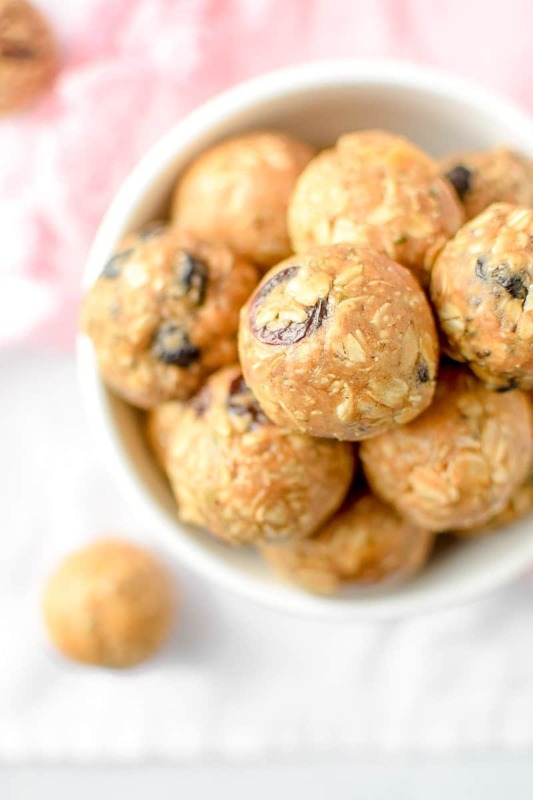 These energy bites healthy are enough for breakfast, a post-workout snack, and even for your toddler and they require no baking or cooking. All of these healthy ingredients work together to help to keep you fueled, full and focused all morning long. 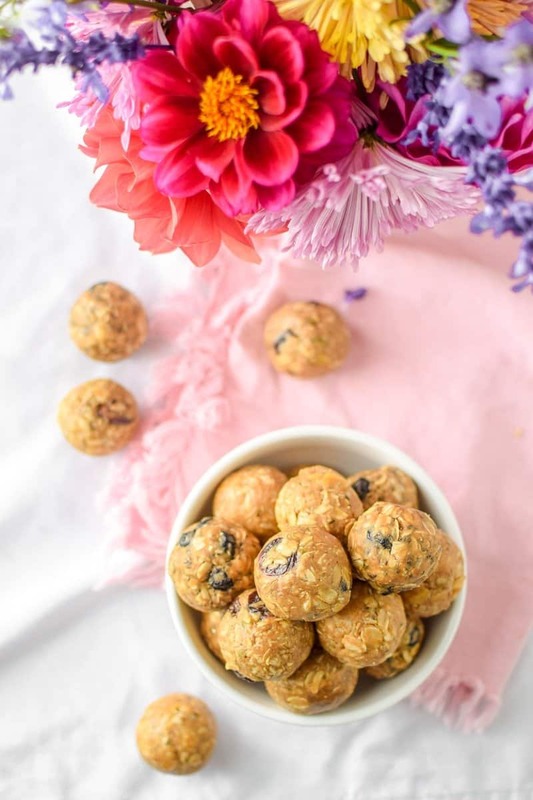 With my basic formula, you can switch up your dried fruits, nuts, seeds and nut butters to make completely customizable bites packed with your favorite ingredients. Last summer I was able to go on a once-in-a-lifetime trip to Georgia with the National Peanut Board to learn how peanuts are produced and harvested. It was incredible to meet the farmers and to learn more about how peanuts are brought to us, from farm to table. For everyday use, I am most partial to peanut butter because it is the most affordable nut butter and accessible to everyone at just about every grocery store. For those who do not have a peanut allergy or intolerance, peanuts can be a healthy addition to the diet. Research confirms that peanuts provide our bodies with protective benefits that are essential for healthy living and aging. Here are some peanut nutrition facts courtesy of the National Peanut Board. We know that high cholesterol is a risk factor for having a stroke. One ounce of peanuts contains 2.4 grams of dietary fiber, which is about 10% of of your daily recommended value. Including adequate amounts of dietary fiber in your daily intakes may help to maintain healthy cholesterol levels. Zinc and vitamin E are important nutrients for maintaining optimal eye health. One ounce of peanuts contains more than 6% of the daily recommended value for zinc and 10% of the daily value for vitamin E.
Scientific evidence suggests, but does not prove, that eating 1.5 ounces per day of most nuts, including peanuts, as part of a diet that is low in saturated fat and cholesterol and reduce the risk of heart disease. One ounce of peanuts contains 2.4 grams of fiber which aids in digestion and adds bulk to the diet, which help you feel fuller, faster. Peanuts and peanut butter, when eaten in moderate amounts (which equates to 2 tablespoons of peanut butter or 1 ounce of whole peanuts), do not cause blood sugar to spike drastically. One ounce of peanuts contains 10% of the daily value for Vitamin E, an important antioxidant in maintaining skin health. For this recipe you will want to use Old Fashioned Rolled Oats. Quick oats will not provide the same consistency. I use Bob’s Red Mill Wheat Free, Dairy Free, Gluten Free rolled oats. While oatmeal is naturally gluten-free, it is often cross contaminated with gluten containing grains during processing. Bob’s Red Mill is a brand that is committed to the purity of their oats. To ensure that the oats stay gluten free, they test each batch in their quality control laboratory when the oats arrive from the farm, and after they are packaged in their dedicate gluten free facility. *Note: a small percentage of people with Celiac disease may not tolerate even the purest of oats. Peanut butter is my nut butter of choice due to convenience and cost, but this recipe works with just about any type of nut butter you like. This is my favorite choice for peanut butter. For those who may be allergic to all nuts and peanuts, butter made from seeds is a great choice. 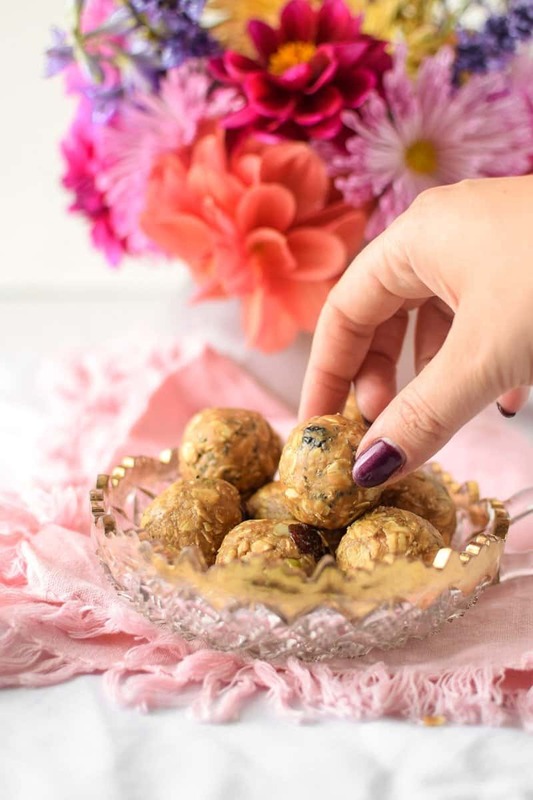 SunButter is a popular brand that produces allergen-friendly sunflower seed butter, or you could try tahini butter which provides a more savory flavor. Options include, but are not limited to: dried blueberries, cherries, cranberries, figs, apricots, dates, pineapple, apricots, banana chips and coconut flakes. Recipe note: be sure to chop your dried fruit, unless it is already chopped or small like dried blueberries. If the dried fruit pieces are too big, the energy balls will not hold together as well. Using a liquid sweetener in this recipe not only adds a sweet flavor, but also contributes to the texture and consistency of the recipe. I do not recommend swapping this for a dry sweetener like granulated sugar. Pure maple syrup, honey, agave or other liquid sweetener will work. Adding just a small amount of seeds to this recipe is an easy way to get more vitamin, minerals, dietary fiber and omega-3 fatty acids into your diet. Seed options include, but are not limited to: chia seeds, flax seeds, hemp seeds, sunflower seeds and pumpkin seeds. When using pumpkin seeds, or any other larger seed, be sure to break them down in a food processor first. Spices are an excellent way to add not only delicious flavor to your energy bites, but also to add extra nutrition. Warming spices work best in this recipe, such as cinnamon, nutmeg, all-spice, ground cloves, ground ginger or even turmeric. Just be mindful of which spices you are using, you wouldn’t want to use an entire 1/2 teaspoon of ground cloves – instead you would want to opt for something more mild like Pumpkin Pie Spice. 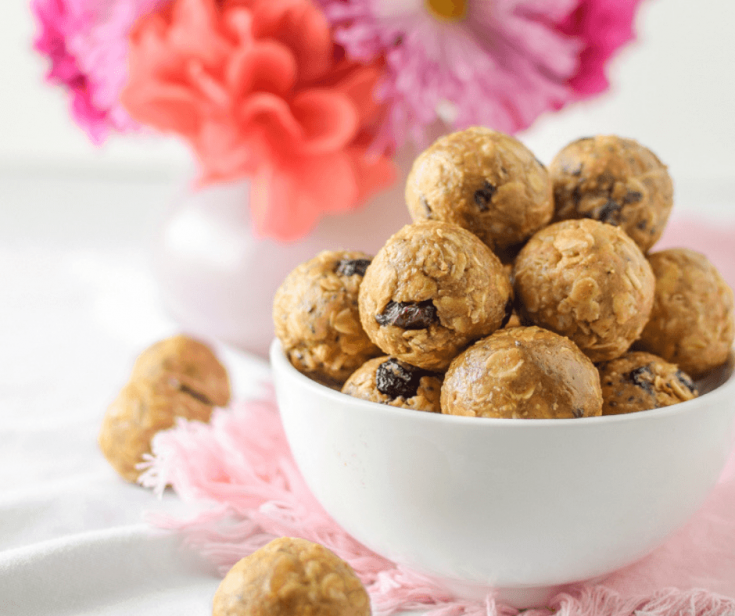 A naturally vegan and gluten-free, nutrient dense no-bake snack you can feel good about feeding yourself and your family and can easily be made with ingredients you already have on hand. In a large bowl, mix everything together until all of the ingredients are well incorporated. Using your hands, begin to create 1 inch balls and roll between your palms until they are perfectly ball-shaped. Store in the refrigerator for up to 7 days or the freezer for up to 3 months. Nutrition facts calculated using a combination of peanut butter, dried blueberries, pure maple syrup, chia seeds and ground cinnamon. Is the sweetner necessary? Anyway to go without? WOuld the use of dates or other fruits make up for the sweetner? Also – what’s the best way increase protein (no dairy)? Egg white powder perhaps? That is my favorite combo!! Enjoy! Yes, I love being able to take them anywhere! That is what I love the most, being able to use up the last bits of things to help reduce food waste! I am so glad to hear this, so glad you like them! I am so glad you are enjoying these! You’re most welcome! The best camping or hiking food! I love all of the different variation ideas. I think I’m craving almond butter energy bites with honey, figs, cinnamon, and flax seeds! 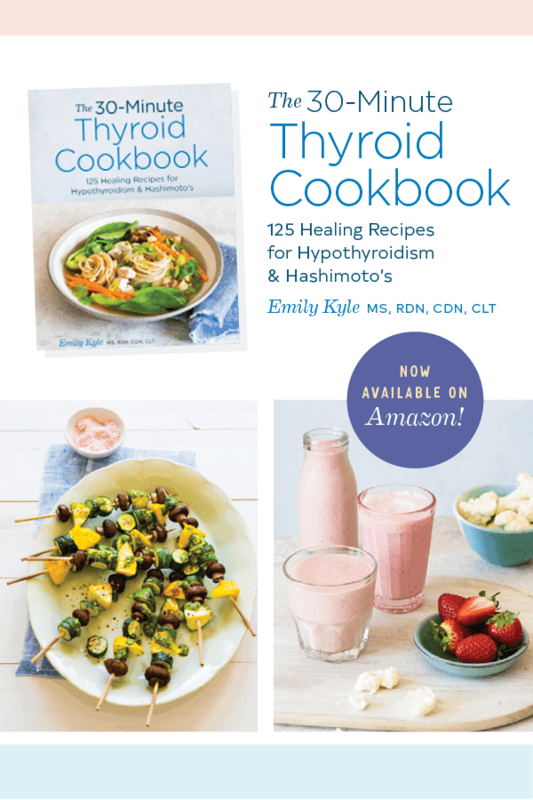 I loved how easy these were to make and so healthy! Perfect for my busy weeks! Thank you! Love these ideas for customizable energy bites! They all looks so tasty and great for snacking! I love these ideas! I tend to switch up my recipes all the time, so it’s nice to have a selection! Love how easy these are to personalize, I’ve made them a couple different ways! I love how easy these are to make and anyone can put their own twist on it! It was so convenient because I could use what I had in the pantry! YUM! I love how easy this is to follow and how many flavors you can make. This really breaks it down to make it easy. Great idea Emily!! Energy bites are awesome! They make such a great portable snack. Such and easy recipe and love that you can adapt it to what you’re craving and have on hand! Hands down I would be all over the Peanut Butter + Dried Blueberries + Chia Seeds + Cinnamon and maybe the last one with pumpkin seeds and cranberries but I think I’d swap out for cashew butter. Need to make a batch to take to my parents this weekend!